A relaxing reading area is a great place to escape from the world and spend a day buried in a book. 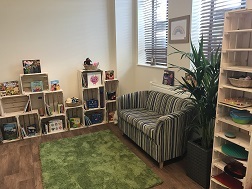 Children begin to develop a life-long love of reading while curled up and by providing a relaxing reading area. 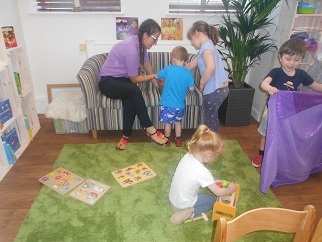 The Snug is a spacious room which allows the children to sit, roll, crawl and walk freely. 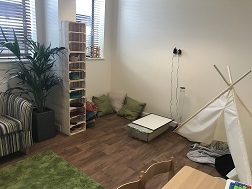 Different toys and sensory activities are available for the children so that they can access a range of experiences throughout the day. 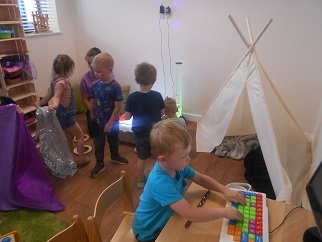 We have sensory toys, soft toys and ICT toys, all provided to encourage physical, social, emotional, intellectual and creative development.